I came across a fantastic cache of notes and stories, I will be sharing them all week. Joe Schell - correctly Schill - my father Joseph Schill Frisbee was named after him. When I was a little girl we had a big framed Civil War picture, "The Siege of Vicksburgh." When I asked my father about it, he told me this story. 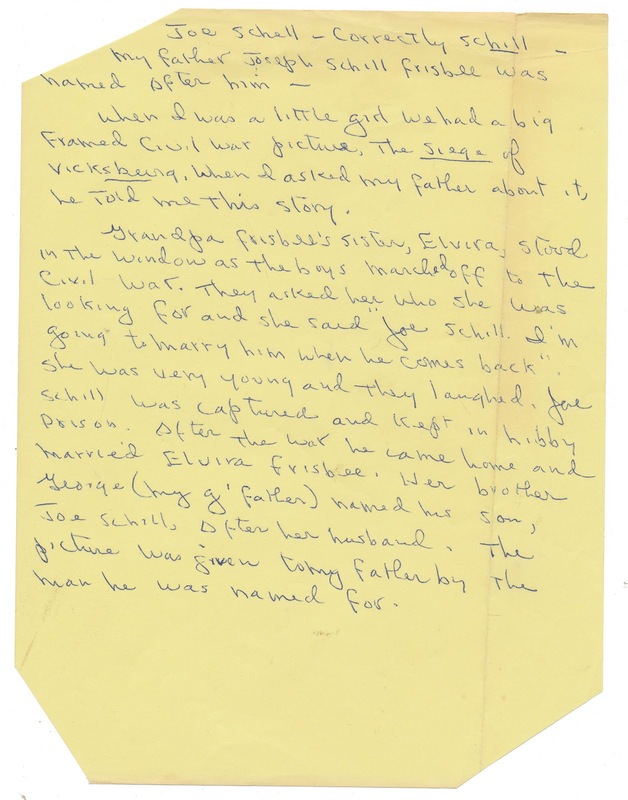 Grandpa Frisbee's sister, Elvira, stood in the window as the boys marched off to the Civil War. They asked her who she was looking for and she said "Joe Schill. I'm going to marry him when he comes back." She was still very young and they laughed. Joe Schill was captured and kept in Libby Prison. After the war, he came home and married Elvira Frisbee, Her brother George (my g'father) named his son, Joe Schill, after her husband. The picture was given to my father by the man he was named for. 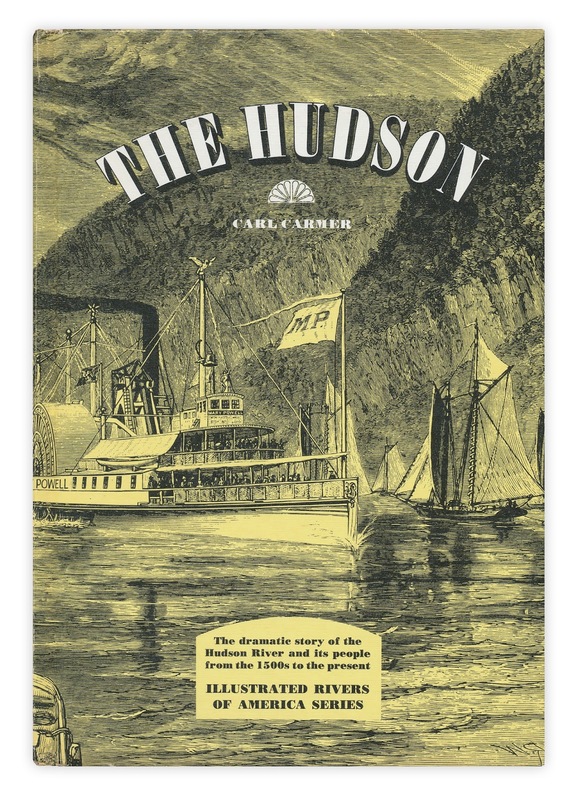 Found in "The Hudson" by Carl Carmer. Published by Grosset and Dunlap, 1968.